Dedicated to product reviews of Kleer-based wireless earbuds, wireless headphones, and wireless speakers. All products based on Kleer technology deliver CD-quality, uncompressed, lossless, digital stereo audio. Kleer-based wireless earbuds, headphones, speakers can be paired with other Kleer-based transmitters. Up to four people can listen to one Kleer-based transmitter at a time. AKG, Sennheiser and TDK are the three audio manufacturers who have created wireless headphones using Kleer wireless audio technology. TDK has the WR700 on-ear wireless headphones, and Sennheiser has the RS 160, RS 170, and RS 180 series of wireless headphones that cup your ear. Wireless, 16-bit, CD-quality sound. Uninterruptible signal. Unbeatable range and battery life. Sync up to four pairs of headphones to just one transmitter. A patented just-in-case auxiliary cable. Legendary AKG® build quality and renowned acoustics. The K 840 headphones use advanced Kleer® wireless technology to stream CD-quality audio wirelessly from your iPod, iPhone, BlackBerry – any portable music player. Unlike wireless technologies that compress the sound, significantly degrading quality, the Kleer technology delivers pure, uncompressed 16-bit stereo audio over a robust 2.4GHz radio link, providing a quality of acoustical reproduction simply unavailable in other wireless headphones. A continuous-use battery life of 28 hours between charges and a standby battery life of up to six months mean you will never be let down by your equipment. 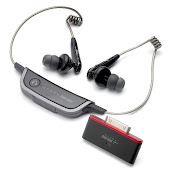 And with an industry-leading operating range of more than 65 feet, the K 840s connect to your favorite portable device from your pocket, backpack, briefcase – virtually anywhere –Kleer and interruption-free. Every detail of the K 840s has been painstakingly designed to ensure you get studio-quality sound, wherever you may roam. Supersoft ear pads and a compact, lightweight design combine with the patented AKG® 3-D Axis folding mechanism, enabling you to enjoy your favorite music in total comfort. These 3-D Axis – equipped headphones fold away flat and come with a hard-carrying case for added portability. The K 840s let you raise or lower volume right on the external ear cup. A closed-back design not only makes the K 840s incredibly comfortable to wear, it provides passive noise reduction, improving sound quality so that you are free to focus on the music, not the noise. Kleer® technology. AKG® innovation.The K 840 headphones use advanced Kleer® wireless technology to stream CD-quality audio wirelessly from your iPod, iPhone, BlackBerry – any portable music player. Unlike wireless technologies that compress the sound, significantly degrading quality, the Kleer technology delivers pure, uncompressed 16-bit stereo audio over a robust 2.4GHz radio link, providing a quality of acoustical reproduction simply unavailable in other wireless headphones. Period. Handsfree and on the go.The K 840s go farther and play longer than any of their wireless competitors. A selective transmitter automatically switches RF channels if interference is detected, so you'll never have to worry about losing your signal. And with an industry-leading operating range of more than 65 feet, the K 840s connect to your favorite portable device from your pocket, backpack, briefcase – from virtually anywhere – Kleer and interruption-free. Share your music.The K 840 transmitter can pair with up to four Kleer-enabled headphones at once, letting you stream your music to nearby friends. Unlimited AKG® quality audio.A continuous-use battery life of 28 hours between charges and a standby battery life of up to six months mean you will never be let down by your equipment – seriously. We even equipped the K 840s with a built-in cable bypass and a detachable audio cable. Uninterruptible signal, unbeatable range and battery life, and a just-in-case auxiliary cable. Never be without your music again. Comfort by design.Comfort and convenience are everything when you’re on the go, but what good is a high-quality, handsfree headset if it’s too warm, too tight or it doesn’t sufficiently block out ambient noise? Every detail of the K 840s has been painstakingly designed to ensure you get studio-quality sound, wherever you may roam. Supersoft ear pads combine with a compact, lightweight design, so you can enjoy your favorite music in total comfort. Great design by design.The K 840s look good, but looks aren’t the whole story with these wireless wonders. The patented AKG® 3-D Axis folding mechanism contributes to the K 840s’ superb fit, folds away flat and comes with a hard carrying case for added portability. The K 840s let you raise or lower volume right on the ear cup. A closed-back design not only makes the K 840s incredibly comfortable to wear, it provides passive noise reduction, improving sound quality so you are free to focus on the music, not the noise. 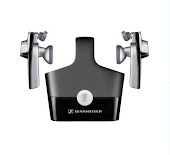 The entry level (that is, the least expensive) Sennheiser wireless headphones, the RS 160 is a two-part system that comes with wireless headphones, powered by a couple of NiMH batteries and a transmitter that connects to your output device. It’s very simple to set up as the whole system is plug and play. This compact and portable transmitter uses Kleer uncompressed digital wireless audio transmission. 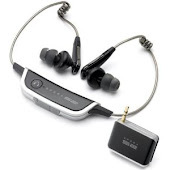 It offers an effective range of 20m (line of sight), and can serve up to four pairs of headphones. Soundwise, the bass delivery is rousing and full-bodied while the closed, snug fit around your ears effectively isolates outside noise. Please check the warranty as offered on the retailer website just in case. A jump up from the RS 160, Sennheiser added some bells and whistles to these tv watching wireless headphones. Wireless headphones come in many shapes and sizes but few offer as pleasing a home cinemacentric performance than the RS 170. This wireless headphone sytem comprises of a pair of wireless headphones and a multi-purpose transmitter which also functions as an 'easy-charge' cradle and docking station. The RS 170 uses Kleer's uncompressed digital wireless audio transmission, offering an effective range of 80m (line of sight), and can serve up to four pairs of headphones. A weighty, full-bodied and detailed sound reproduction is what the RS 170 offers. Sporting a couple of switchable listening modes - Dynamic Bass and Surround Sound, it will let you enjoy pure thundering bass, a virtual surround soundscape, or both audio treatments for your music or movies! The headphones' leatherette earpads and headband cushions provide for outstanding comfort while their closed,circumaural design prevents sound leakage. WarrantyPlease check the warranty as offered on the retailer website just in case. And the high end of the RS series. In the RS 180, Sennheiser delivers an excellent sound reproduction. Using an open, circumaural design, the headphones can breathe from both sides of the ear cups, offering you an excellent sound image. This wireless headphone syatem uses Kleer uncompressed digital wireless audio transmission and can serve up to four pairs of headphones. 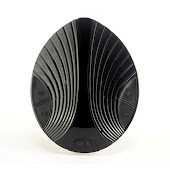 In addition, it gives you the freedom to travel up to 100m (line of sight) from your sound source. The RS 180 is also equipped with balance and automatic level controls. The former provides for right/left volume adjustment while the latter for improved speech intelligibility as well as to ensure that the headphones always reproduce at optimum audio levels. Like the RS 170, the transmitter for the RS 180 is multi-functional - doubling as an 'easy-charge' cradle and docking station. All in all, the RS 180 offers a superb sound and an effective wireless range, making it your ideal listening choice! Warranty:Please check the warranty as offered on the retailer website just in case. 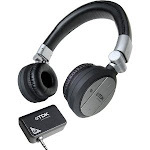 Ideal for home audio systems and portable audio (including iPhone) that have a 3.5mm headphone audio jack. The TDK WR700 wireless headphones are an on-ear model with a stylish black and silver design. Build quality is excellent, with matte silver and black plastic surrounding the ear cups and sturdy-feeling hinges below the headband. Powered by two AAA batteries, setting up the TDK WR700 is as easy as plugging the transmitter into your device of choice and turning the power on. Transmitter range is up to 10m. Power Consumption: two AAA Batteries provide 30-40 hours of listening time. MX W1 true wireless earbuds discontinued? DigiFi Opera S2 wireless earbuds review: "I love these headphones"
Own several Kleer-based wireless products, big believer in the technology and the wireless earbuds, headphones, speakers that use it.